Hoyte Van Hoytema is a cinematographer from Sweden, who went to the National film school in Lodz. Now working in the United States, his work is seen in big hollywood movies such as Her, Interstellar, and The Fighter. In some of his work he discusses using a real earthy color palette such as in Interstellar, he plays off of the natural green of the crops when in the farmland setting. His approach is also clearly seen the opposite when he creates the futuristic world of Her, utilizing LED lights to make the look and color of the film - a soft and intimate, near-future setting. His work is stands from Digital on the alexa in Her, to film in the Imax camera with custom made lenses for Interstellar. In each, there is significant camerawork and several handheld sequences. This is an interesting video which is worth checking out, selling a little of Imax, but it is important to see some of the huge Imax reels, and the handheld work of Hoytema with the Imax camera. Also if you haven't seen the trailer yet, I am going to post it below this and then proceed to tell you why I am particularly excited for this film by using both examples from the soundtrack and visual that director, Mr. Rob Marshall has created. This trailer is a prime example of the reason why I am so excited for this movie. If you study the visual style that Mr. Marshall employs throughout the film, it is meticulously and delicately articulate in such a way that might draw to comparisons to such masters of the visual world of film like Baz Lurhmann. Also, Mr. Marshall does something amazing as demonstrated in the clip below. I'll let you watch the clip before I tell you what it is. As you can see in the clip, Mr. Marshall is keenly aware that the action is stopped by Cinderella's song and that the song is functioning as an internal dialogue between what the character wants for herself. So what does Mr. Marshall do, he completely freezes the action around Cinderella in order to allow us to begin to get inside of what the character is thinking or feeling, something that the medium of film often eschews. It is this kind of genius thinking that has me hoping that this stage to screen adaption will be successful. Also, the soundtrack of the film is another appealing aspect of the movie. Above is the full version of On the Steps of the Palace as sung by the Anna Kendrick. The music and lyrics and film scoring are handled by one of arguably the most talented and beautiful composer for musical theatre Stephen Sondheim. And yet, even though not on the stage but rather the screen, the music still soars high, a true gem of any Sondheim musical if ever there was one. Because Mr. Marshall has adapted Chicago from the stage to the screen and done it very successfully I am beyond excited to see what he is going to do with Into the Woods. 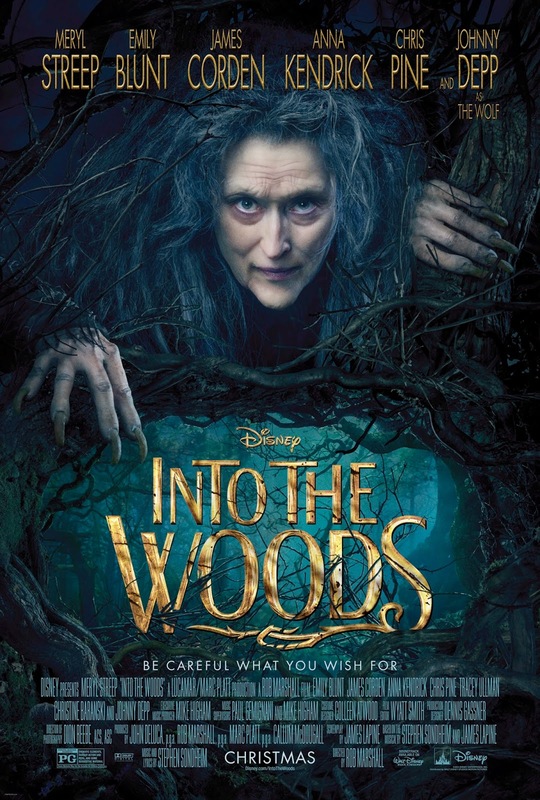 And so it is for these reasons that I say: INTO THE WOODS AND OUT OF THE WOODS AND HAPPY EVER AFTER!!!! Tony, the man behind the youtube channel Every Frame a Painting released a new video this week specializing in Jackie Chan. If you haven't seen any one of his other videos I can't recommend them enough, they are very well edited and Tony knows a lot about all kinds of films. But what I found interesting in his new video is how action and comedy are quite similar. In terms of how they should be filmed to get the best reaction and how showing everything is always better. Just like a joke showing the action and in the same frame showing the reaction is the best way to pull everything out of the picture. If someone is hit on screen showing the hand and then the reaction from the hit draws more effect from the audience. The video goes on to explain more about the differences in action between American and Asian films. The editing in Hollywood for action has become more about cutting from one shot right as they get hit to the next. Tony goes on to explain that in many asian action films editing has been used to alter the continuity of each hit. So as someone throws a hit the hit is quickly shown and then cut to close up and quickly see the hit again. With only a couple frames it's barely noticeable but adds an extra force behind each hit. I find it extremely interesting how editing can be used in this way and can not wait for Every Frame a Painting's next video. The 2015 Sundance Film Festival has officially released the lineup of films to be screened! [You can sneak a peek for yourself here.] A plethora of uniquely intriguing synapses scrolled down my screen before I caught myself exploring deeper into the depths of the Sundance website. In particular, the "Womens Initiative" caught my attention. In essence, the Womens Initiative is a group of organizers that promote gender equality in the film industry by supporting female filmmakers in developing their stories into projects as well as assisting them sustain a career. My first reaction was pleasant. I thought, "Well that's nice. 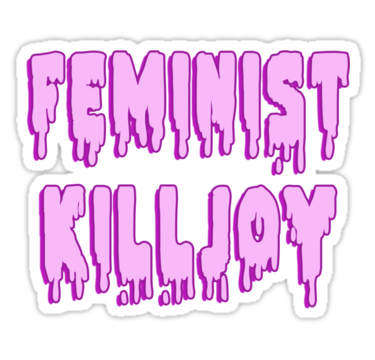 While we may have progressed significantly since the first wave of feminism we certainly are far from the cusp of equality." Shortly thereafter another monsoon of thoughts emerged. Just how much of a "banana republic" was the film world? The results of my research were surprisingly unsurprising. Surely, males make up more of the workforce than females do. But just how much men dominated wasn't clear to me... until today that is. As if that chart isn't horrifying enough... these numbers are rapidly declining in all but one or two categories (which have increased 1% or remained stagnant) between 1998-2014. There are many things one can attribute to the lovely ladies that are interested in this wonderful art form closeting themselves from the industry. One in specific I'd like to focus on is how women are often written out of film history. For example, even in our hallowed halls of Ithaca College, we face male dominated tales of cinematic genius. Though, there are some pretty influential ladies who are responsible for shaping the art of filmmaking as well. In conclusion the odds of me finding film employment after college is slim and even if I make waves with anything I create, I'll most likely be ignored historically. Yet... I haven't filled out any paperwork to transfer schools or majors. While the odds of me making it are repulsively slim... I'm going to continue creating and pushing forward. Film-making is underestimated and difficult stuff, but the outcome is one that cannot be explained into words. Maybe the film didn't turn out as grand or funny or shocking as you had hoped, but I bet something worthwhile blossomed from the experience that wouldn't have blossomed if we said, "naaah it'd never work." Our deadlines are quickly approaching and I encourage everyone, both ladies and gentlemen, to stick with this. The road ahead is demanding and holds minimal time for sleeping and perhaps the road further ahead holds an eleven percent chance for employment but... keep at it? I know I will whether my budget is four million dollars or just four hundred. For those of you that watch The Walking Dead and have not seen the recent episode…….there are spoilers ahead. I started watching The Walking Dead not too long ago. I binged on all four seasons on Netflix for probably a straight two weeks, meanwhile I should have probably been doing homework, but watching this series was more important to me. 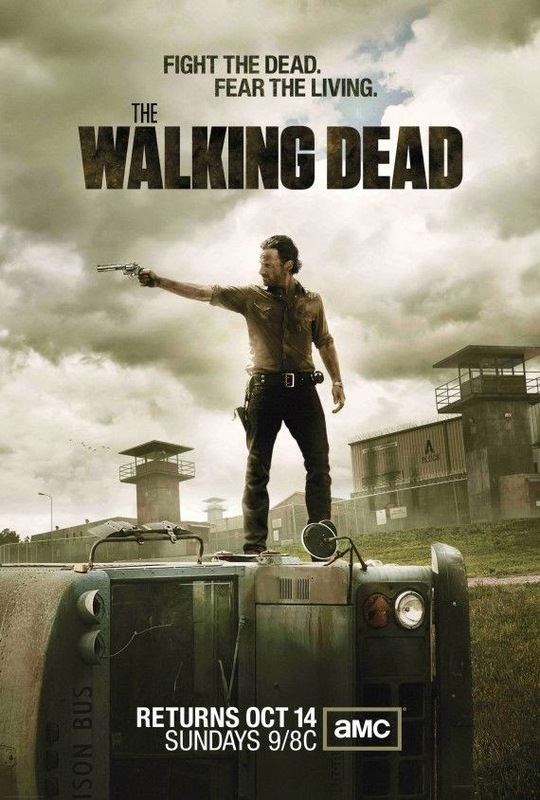 I heard the hype over the walking dead when it first premiered and I did not really see what everyone was talking about. The concept of zombies can either be really good or just plain horrible. Being that I was a fan of Resident Evil, I thought maybe it will be good. I started watching it, and at first I did not see the obsession, but I found myself wanting to watch what happened in each next episode. I became addicted and obsessed. It was good, and so I added another television shows to my list to watch. The walking dead was interesting because of every character. Every character brought something different to the table. And being that every couple episodes you learn more about one character, as well as introduced to several news ones, you have to keep watching what happens to each person. You grow an attachment to what each character does and what they represent in the world. You want to see how this character develops and who they become. Even though I prefer some characters over the others, they all have some kind of interest. prison. While at the prison, the people make it more homely. Once they have developed a system, Beth becomes somewhat of a motherly figure for character, Rick Grimes’ daughter, Judith. Judith’s mother, Laurie was killed during the birthing of her. Rick so destroyed from this, payed little attention to Judith because it reminded him of Laurie’s death. Although sad, this was a great moment for Beth to shine and show what kind instincts she has. Her singing also became more prominent and she slowly became closer with more of the main characters. Everyone was seeing the prison as their new home, and somewhere they could live during all of this madness. Unfortunately the prison was attacked by other people. Once they were attacked many people were fleeing the prison and the group did get very separated. Being that Beth was one of the last people to stay around and help fight, she was left with Daryl Dixon, one of the group’s best fighters. was his one purpose to keep everyone safe, it was what he was good at, and he felt like he failed everyone. He was upset that they found somewhere wonderful to live, and it was so easily destroyed. Of course he says this under intoxication, and it comes off a bit rude to Beth, however it is under that circumstance that we see a side to Beth that we can’t help but love. nothing but compassion for Daryl. She tells him that he can’t give up just because of everything bad that happens in their lives. She says this with force, and we truly see Beth for who she is, a strong woman full of hope even in the saddest of times. It is through her hope that Daryl continues and moves on from his guilt. It is her hope that guides him back, and helps him find their way. After this time together, they become very close. Many fans began to ship them as a couple because together they were a balance. She was full of hope and brought out all the love in him, and strength to continue on even when something goes wrong. He brought out more strength in her, showing her how to be strong physically, and never giving up on her. However their time together was ended when beth was kidnapped by a group of cops from Atlanta. Daryl destroyed by this, eventually finds the group and tells them what happened and how he is going to find her. When we finally see Beth, she wakes up in a hospital. The people taking care of her say they saved her life and that she couldn’t leave until she repaid them. We begin to see how unstable this hospital is and how no one ever leaves. Beth however, is determined to get back to Daryl, and tries her hardest to find an escaped. After a failed attempt in trying to leave she realizes that even though she’s failed she cannot give up. While at this hospital Beth proves how strong she is. She is no longer that sweet weak girl that we first met. She is no longer that girl who tried to kill herself. She is determined, strong, and full of hope, never ever giving up. In last week’s latest episode, the group that Daryl finds finally comes for Beth. When they negotiate a trade for Beth, everything is going fine. However, when they are about to leave, the main officer in charge, Dawn Lerner, wants one Noah back (one of the people at the hospital that escaped and joined Daryl’s group). When beth hears this, it hurts her so much that something that we would have never expected to happen, did. As Beth goes up to Dawn, and basically insults Dawn, she pulls out a scissor she had in her cast and stabs Dawn. However, Dawn already had her gun in hand, and shot Beth in the head immediately after this. The symbol of hope, dies. The one person who never gave up, and always encouraged others to keep going, is gone just like that. After the writers built her character up so much, the took her away that quickly. Everyone in the group is affected by this death. They were so happy to finally get her back safely, the one person they all looked to. To them Beth was the one of the only things pure left in the world. Without her and her guidance, everyone feels kind of lost. I was kind of surprised the writers killed her off. Especially after all the praise fans were giving her character. People are outraged that she is dead. There is already a petition to bring her back from the dead, signed by more than 10,000 people. As well as plenty of conspiracy theories as to how she is going to come back to life. Basically, no one really wants to see a world without Beth Greene. I don’t really blame them either. I was really upset by this too. Even though she was never really my favorite character it was very sad to see her go. And not only seeing her go, but seeing everyone’s reactions to her death. Seeing Daryl’s reaction, someone who she loved for all of the purity that she contained. Seeing Rick’s reaction, someone who grew a family bond with her over his daughter. And seeing Beth’s sister’s reaction, Maggie, someone who only had one family member left. The episode overall was just heartbreaking. And while I’m devastated to see Beth go, I think it was necessary. These characters are living in a world where death happens every second. After the world has turned into this apocalyptic state, people become scared. When people are scared they do stupid things. And that resulted in Beth’s death. The writers had to show that the world they are living in is scary, and not everyone lives. At any second, any could be killed. And not only that, but they also have to show some kind of development in the other characters. How everyone will be effected by this, will show what kind of person everyone is. And personally, I believe that while at first everyone will feel down about everything and not want to survive at first, they will fight through it. They will fight through it and survive for as long as they can because that’s what Beth would do. Beth would continue to survive, because it’s what you have to do. She would not completely lose hope because of someone’s death. She would honor that person’s death by continuing on and fighting for her life. Overall I just wanted to talk about her character because it is a prime example of strong character development. And her character will have a huge effect on the other characters and how they develop. Within hours of its release, minutes even, speculation and strong opinions were flying. Complaining drooling, attacks and parodies...every aspect of internet reaction to new content was present. Personally, I was thrilled to see some footage so early, but as time went by, I started to become more interested in analyzing people's hyperbolic reactions than analyzing the trailer itself. The theories ranged from reasonable to outlandish and the conclusions people were jumping to were nothing short of hilarious. Whether the comments come out of enthusiasm or derision, I think everyone's going a little crazy about this and we all need to take a breath and really consider what it is we're looking at. First of all, let me just say that I've been a Star Wars fan since I was a kid, so while I have become detached from the series in the past few years, the announcement of a new film (several, actually) is definitely a source of excitement. At the same time, I'm reigning my feelings in and not allowing myself to be swayed too much by the new footage. I certainly liked it, but it doesn't assure anything. 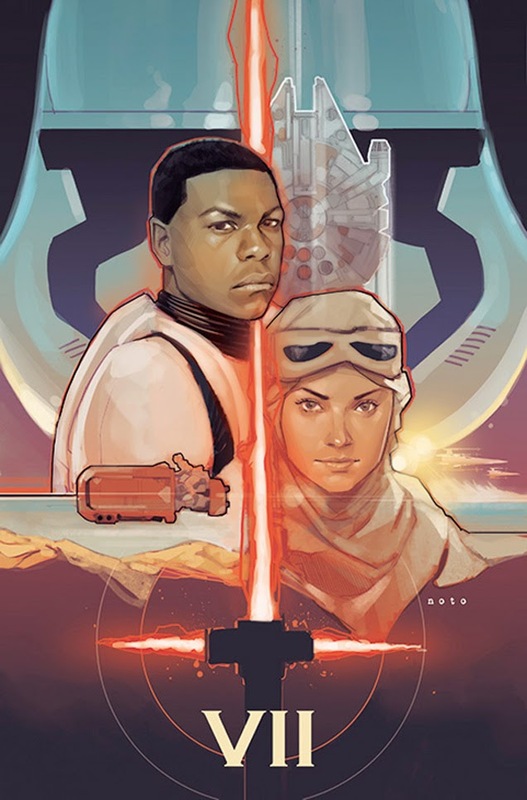 The last Star Wars film was released nine years ago and in that time social media and the nature of the internet has changed, radically shifting the way people engage with such early marketing for hyped films. I remember the excitement for Revenge of the Sith, but it's nothing compared to what I've seen this past week. Various articles and blogposts (just like this one) have been written, breaking it down shot by shot. Memes have been created, trailer re-cuts have been done, a couple new fan posters (like the one above) based on the imagery of the teaser have been made...hell, a guy got a tattoo of the little soccer ball droid (a droid that is likely an insignificant element in the film- I wouldn't be surprised if it was some transition piece that ended up getting cut). Being Star Wars, the most beloved film series of all time (a subjective statement, but you know it's true), I can't blame people for buying into the hype. At the end of the day, folks are just having fun with it, which is exactly what JJ Abrams intended, I'm sure. It'll make over a billion dollars easily next year and toy sales will be just as impressive, but until then, we'll just have to wait for that second trailer to drop. Take your time, Disney, what you just delivered is more than enough to satisfy this fan for months. 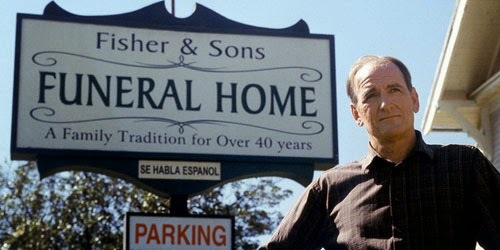 Few shows have ever involved me as much as Alan Ball's Six Feet Under. The show premiered in 2001 on HBO and ran for 5 seasons. Its about one family who runs a funeral home out of their house. The first scene in the first episode of the first season the father, and owner of the business, is killed in a car accident. The rest of the show follows the family as they spiral out from this event. My mother and I binge-watched this show when I was in high school and when the last episode ended we took ourselves out for a mourning dinner. We felt like we had lost a part of our family. This sounds super cheesy and corny but its true. 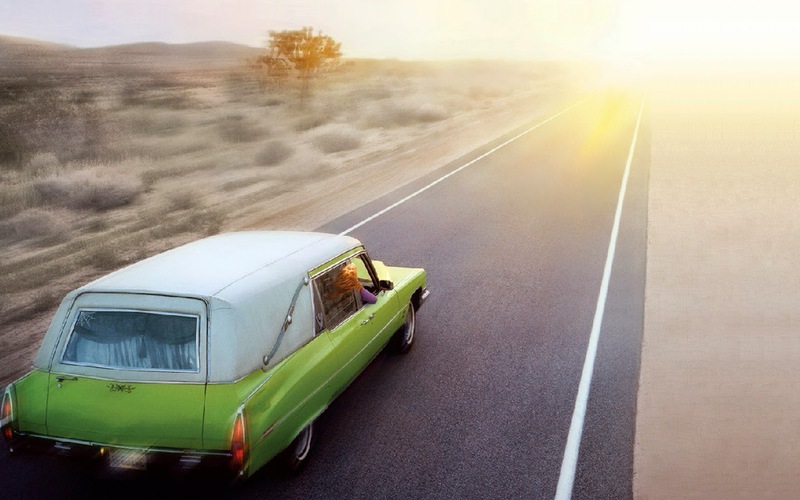 Six Feet Under has some of the strongest, most developed, most realistic characters on TV, and anyone who's watched the show can tell you that you can't help but get entangled in their drama. One of the main things that makes these characters so special is the fact that they have flaws. Not just little things, like they're messy or disorganized, like big, reoccurring flaws. But it's not far-fetched or random things like "they're evil" or "they're crazy" its much more subtle and realistic things that everyone can relate to. For example, one of the main characters David Fisher is a closeted gay man in the first season but even when he comes out he struggles with deep feelings of shame and guilt which ruin relationships and lead him to some of his lowest points. I have not seen any other shows which allow a character's flaws and past to impact their present, and the show, as much as Six Feet Under does. Another remarkable thing about the Fisher's is that they change. Again these are not superficial changes like getting divorced or getting a new job, they change on a deeper level than that. For example in the beginning of the show, Claire Fisher, the youngest, is an angsty high school student who smokes crack and leaves severed limbs in her ex-boyfriends locker. Over the course of the show she realizes she wants to be a photographer and the show follows her on this journey. We see her grow up and mature. The Claire in season 5 is completely different than the Claire in season 1, but yet she's still her. I feel that not many shows that I've seen give characters changes like this. They may change on the surface or be depressed for half a season, they might have a completely random personality change that doesn't make sense but in Six Feet Under people age and mature and change with their experiences. Because the characters in this show are so realistic and relatable the show is realistic and relatable. If more films and TV series strove for this, we would have much better things being produced. If a show or film can get audiences engaged with the characters, they can keep that audience interested. The show can be on the melodramatic side, but its the strong characters which ground it, and make it an exceptional show. As Arturo has made clear, successful sound design can make or break a student film. With our limited financial resources, taking the time to really nail the sound of a project can enhance the visuals and create production value almost out of thin air. Think about the student film about astronauts that we watched earlier in the semester; the sound of the film created a great sense of scale and offscreen space that is really difficult to achieve in student film. However, if you're like me, you might only have the (very basic) ProTools knowledge that you acquired in CP1, which might not be enough to take your sound to the next level. Luckily, NoFilmSchool just posted a nice little introduction to basic sound design and foley: sound-design. The blog post links to a 15-minute introduction of foley and sound effects, emphasizing that very little of the sound that makes it into a completed film was captured on location during shooting. Take a look at some basic techniques for creating sound effects, and try to nail the sound of your film. But hurry! Kill You Darlings, a film directed by John Krokidas, centers around writing and the great poets of the beat generation. The Beat generation was a cultural movement that essentially consisted of rebellion from strict society, separating from traditional writing, and inspiring a countercultural ideology. The film focus’s on Allen Ginsberg, played by Daniel Radcliffe, and his group of writers pushing against society in the most radical sense for their new writing style. Throughout the film the group goes through a series events that include getting absurdly intoxicated as well as breaking the law in multiple instances for the sake of their writing. Inevitably at the end of the film the protagonist Allen Ginsberg completely devotes his life for the preservation of his work and his self-respect as a writer. One of the most important scenes in the film that establishes the characters devotion to their writing is when they first conceive their idea for their new literary movement. In this scene the characters directly state their vision of straying from contemporary and traditional writing and expanding to what is considered wrong or forbidden writing. They reference Walt Whitman who, “ hated rhyme and meter, the whole point of untucking your shirt” in reference to present day poets and poetry who wrote in a rigid order and structure such as Ogden Nash. Another series of scenes in the film that portrays the characters’ conviction to their writing is their drug abuse montage. This montage is intercut between shots of them planning out their “new vision” and shots of them taking drugs or drinking. Their drug use is not arbitrary; rather they use a “derangement of the senses” to further their understanding of their perspectives on life and society. Not only does drug use separate them from society in the sense that is causes them to actually think differently but the using narcotics in the 1950s is so ostracized that it disconnects them even more. With the drugs and new light on literature they begin to transcend their day-to-day living, inspired and driven to form their new work which becomes tangible at the end of the montage. 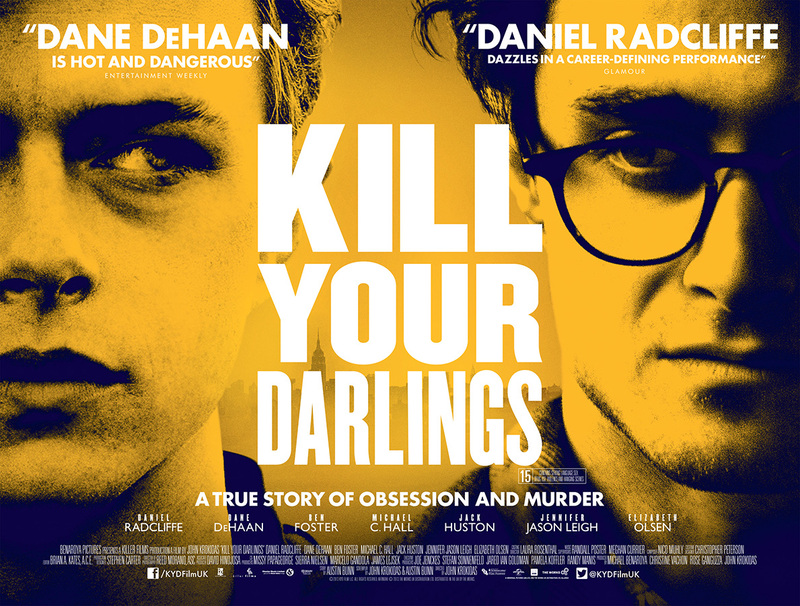 Kill Your Darlings is a film about writers rebelling against contemporary society and literature to establish their own counterculture movement. They are writers who start the beat generation and disassociate themselves from conventions. 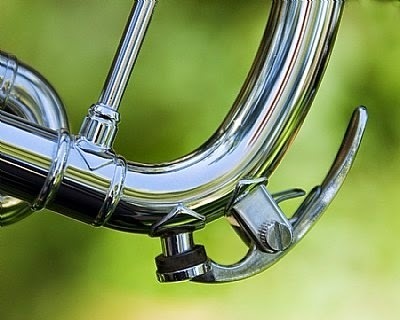 One of the most interesting phenomenons happens with the intersection of marketing and location shooting. One particular example of this is the film location that was used for the first season of American Horror Story, which has since become titled, "Murder House." The interesting thing about this house is that it is a real place in Los Angeles about fifteen minutes from Hollywood Blvd. This facade should look very familiar to people that have seen the first season of American Horror Story. This is the same house that is supposedly haunted by the ghosts of murder victims that enact their vengeful wraths on the current owners of the home. Now for a little history lesson on the property at 1120 Westchester Place, which is the real world address of the house. Originally built in 1902 by famous architect Alfred Rosenheim as a personal residence for him and his wife, it was sold to a wealthy mining magnate in 1918. The mining magnate owned the house from 1918 until 1930 and then sold it to famous actor Edward Everett Horton who lived at the location for two years before selling it to a Catholic nunnery that owned the house from 1932 until 1997 and even put a church in on the grounds. In 1997 the nunnery left the property due to the 1994 Northridge Earthquake and the house was put on the market for 3 million dollars and it has been there ever since. For over 100 years, this property has been a very popular Filming Location, having been the set for countless Major Motion Pictures, Television Commercials, and Still Photography shoots, with the biggest names in Hollywood, and around the Globe, utiliziling this property for their projects, many of whom have been back several times throughout this Century. The list of Feature Films shot at this pristine property is endless, and the list is very long, beginning long ago, when Charley Chaplin was busy making movies. 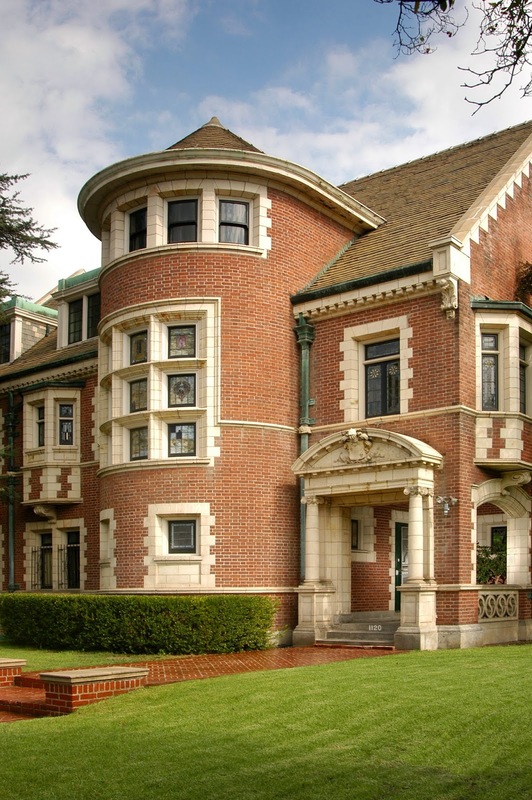 For Television, the property has been most recently used for the Pilot, and the entire Season 1 of American Horror Story, which almost overnight, became the biggest television series 20th. Century Fox Studios EVER released, starring an amazing cast of characters, and just weeks later, becoming the most popular TV Series on Earth, even surpassing True Blood ! The property has had dozens of TV Series episodes filmed here, including, CSI Miami, Alfred Hitchcock Presents, Buffy the Vampire Slayer, Dexter, Dragnet, Hill Street Blues, Six Feet Under, Crime Story, The Twilight Zone, The X-Files, Wiseguy, Law & Order, Ghost Whisperer, NCIS, The Closer, Nurse Jackie, CSI New York, Miami Vice, The Unit, 90210, Cold Case, Angel, The Mentalist, 24, Police Story, CHIPS, Criminal Minds, Law & Order: Special Victims Unit, SWAT, ADAM 12, Monk, Las Vegas, Grey's Anatomy, Bones, Californication, an many, many, many more. Photgraphers who shoot here are the World's finest, with people such as Herb Ritts, Annie Leibovitz, Walker Evans, Bruce Weber, Michael Marks, Helmut Newton, Guy Bourdin, Henry Cartier-Bresson, Diane Arbus, David LaChapelle, Peter Lindbergh, Mario Testino, Terry Richardson, and many, many more. In addition to Film and Photography, the property has been the location for numerous Music Videos, Concerts, and Private Events. The Recording Studio has room for 250+ guest's, and has had hundreds of World reknown musicians record amazing sounds inside the walls of this Ultra-Private Studio." For anyone else who is interested in finding out more about the Murder House here are some links below. 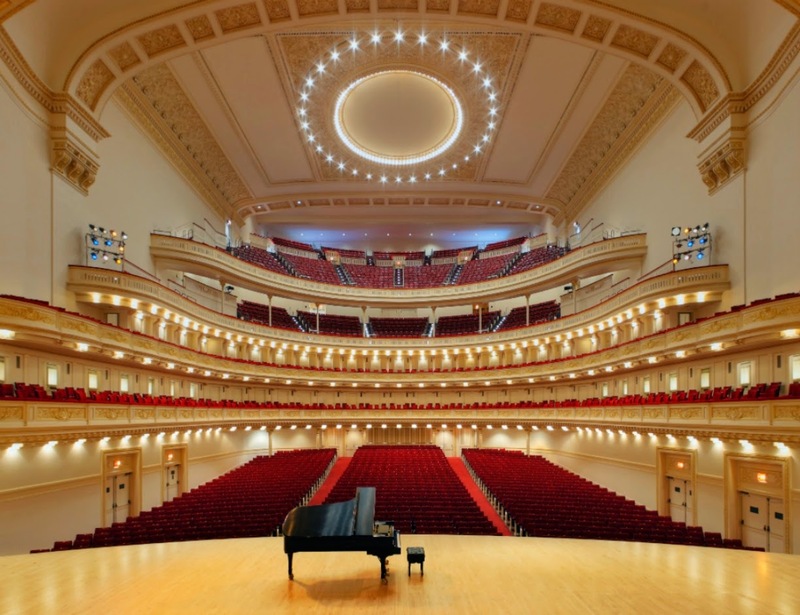 One of the most stressful and competitive environments in the world is that of music performance. 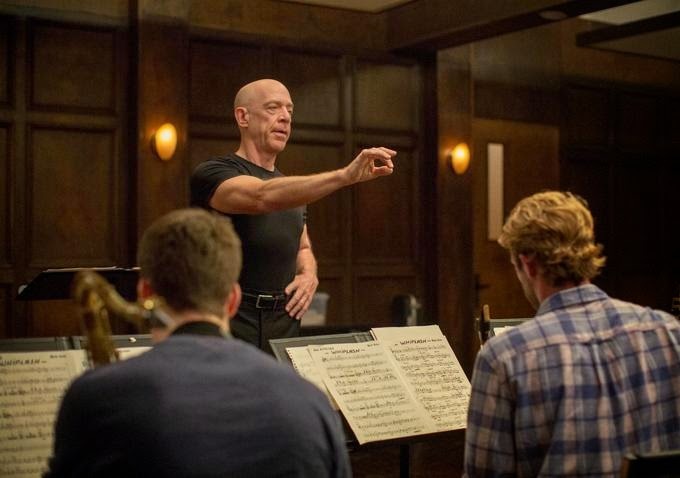 Though many films portray a glorified version of what it is like to be a performer, Whiplash, directed by Damien Chazelle managed to honestly capture the world and mindset of student musicians. Granted I have never attended a music conservatory, the music program in my high school was very competitive and we would often compete against other schools. These competitions were similar to the ones shown in Whiplash. The moment we step into the jazz rehearsal room with the protagonist, the editing becomes quick and choppy. 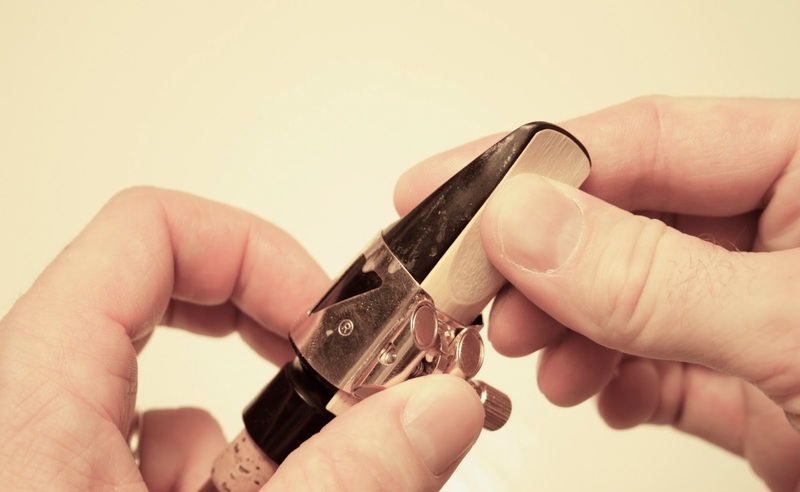 There are many quick cuts to players wetting their reeds, emptying spit valves, tuning drums, and doing short riffs to warm up. In a rehearsal setting, there is a feeling of urgency that this editing helps to convey. The players prepare themselves quickly and efficiently, so that they can be ready to play at their highest level when the conductor steps in front of the group. A hectic series of quick cuts also helps to display Andrew’s state of mind. Entering a top notch jazz band as the youngest player is a very stressful and chaotic situation. From these cuts the audience can sympathize with the stress and pressure that Andrew is feeling. Another moment in this movie that emphasized the mind of the musician occurred as the band practiced. When the band is getting ready to begin playing, the conductor, Fletcher is in focus. 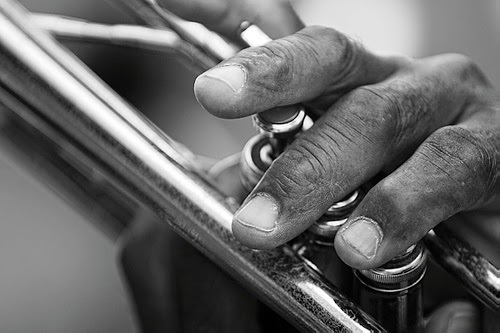 As soon as he moves his hand up, signaling the musicians to bring their instruments up, there is a rack focus to Fletcher’s hand. This particular moment mimics exactly how musicians think. 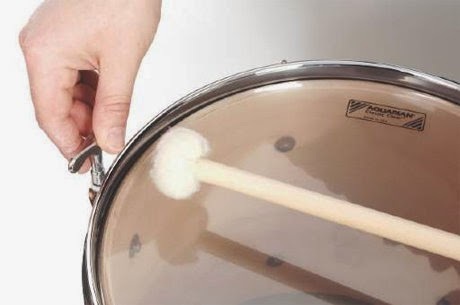 When the conductor’s hand goes up to start a piece, every musician is focused intently on that hand, waiting to see when it will give the pickup or down beat. By utilizing this rack focus, Chazelle allows the audience to take the place of the musicians and anticipate the beginning of a song. The director literally shows us where the musicians’ attention is by using this rack focus. Chazelle does a wonderful job of portraying not only the competitiveness of the music field, but also the mind of the musician. When you go to college, it can be hard to keep up with new movies that hit theaters. The way many films get their advertising in, is through television. Many students in college do not have cable, let alone a television. So obviously when the holiday season comes and students travel back home, they are able to catch up on what is new and what looks good. One movie that has gotten much attention is Mockingjay Part 1. Last night it premiered in theaters all around the world. After the success of the first two, audiences could not wait to see this film. 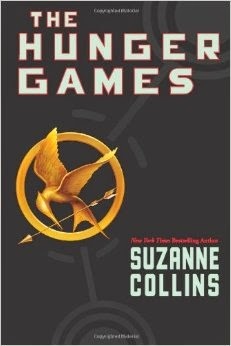 The trilogy was adapted from the novels series by Suzanne Collins. Due to the large amount of length in the third novel, the decision was made to divide the third book into two movies, part 1 and part 2. After Catching Fire premiered, audiences were left with a huge cliff hanger. The cliff hanger was so huge that it left audiences torn because they did not want to wait to see what happens next. However, for the most part, audiences have stayed loyal to see what happens next. Almost a year after the release of the first movie, filming for Mockingjay started immediately in September 2013. Once they were done shooting part 1, they instantly started shooting part 2. The film stars Jennifer Lawrence. When the movie first premiered many audiences were not familiar with Jennifer Lawrence and her work in the film industry. Once the movie debut, people became obsessed with her on and off screen. After the first movie premiered, Jennifer Lawrence was seen in many other films such as, Silver Linings Playbook, American Hustle, X-Men: Days of Future's Past. Jennifer Lawrence continues to star in many films and every time gives a great performance. Without her role in The Hunger Games, things may have gone differently. Although the series is coming to a close end, it is still going to be talked about for a while. The action packed films offer a good plot line, differing characters, heart-jerking moments, and great action scenes. The movie shows characters that are able to have relatable qualities that everyday people can find themselves connecting to. I know while I am on break I will most definitely be going to see this movie and see if it is as good as it has been talked up to be. And with the great success of the first two, I'm sure it will be. Especially with the fantastic acting of Jennifer Lawrence. 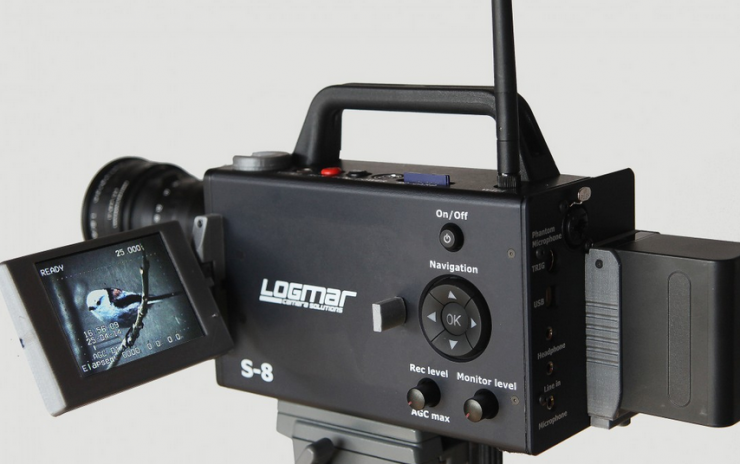 For the first time in over 30 years Logmar Camera Solutions plan to release a new and improved 8mm and 16mm camera. And for many this wouldn't be that big of a deal but this isn't just a vintage camera that you can buy at a antique store. The Pro8mm can record high quality sound through a XLR input that can be recorded on an SD card directly on the camera. The camera comes with video output, actual 48v Phantom Power, and is usb upgradable. 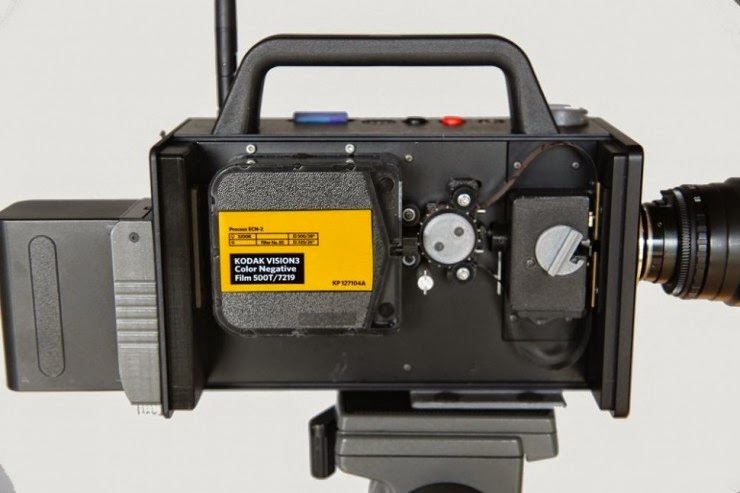 This is really great for those looking for that 8mm or 16mm look but can record sound and do many advanced things that the old cameras couldn't. The camera is scheduled for release in December and is going to make a little hole in your pocket with it's $5,000 price tag. Check out some test footage! I was saddened to learn Wednesday of the passing of Mike Nichols. Nichols had a long, esteemed career in the arts, becoming one of the few winners of the EGOT -- winning an Emmy, Grammy, Oscar, and Tony award. He's also responsible for two of my favorite films, 1967's The Graduate and 1996's The Birdcage. The Graduate is one of the films that got me interested in film in the first place. It was the first film shown in my high school's film study class, and the first that I had to look at with a critical eye. The film's use of cinematic techniques to create thematic meaning is easy to spot, but never over-the-top or cheesy. The film also features perhaps the most iconic ending in American film, the now-famous bus sequence. The film deserves its status as a classic, mainly due to Nichols' excellent directing (and Dustin Hoffman's performance as Benjamin). It stands as one of the great looks into the lives of young people, people who may be floating through life without anything to anchor them. Nichols was best known for The Graduate, but continued to direct films and theatrical productions for the rest of his life (his last film was 2007's Charlie Wilson's War, starring Tom Hanks). He had several other major successes in both mediums. My favorite film later Nichols film, and one of my favorite comedies of all time, is 1996's The Birdcage. An adaptation of La Cage aux Folles, the film tells the story of a gay couple who must present as a husband-and-wife to ensure that their adopted son can marry the daughter of a conservative politician. Nathan Lane and Robin Williams turn in fantastic performances as the couple (the film is one of my favorites of Williams' career, and one that I re-watched following his death earlier this year), and Gene Hackman is hilarious as the politician. If you haven't seen the film before, I can't recommend it highly enough. One of Nichols greatest works, and one that I've had on my to-watch list for a while, is his 2003 HBO miniseries Angels in America, about AIDS and homosexuality in 1980's New York City. I think that I'll take the time to watch it over Thanksgiving break as a tribute to Nichols. Once upon a time, Disney Animation was the only studio making blockbuster animated features. Today, animation is perhaps the most crowded of all the film genres in Hollywood. Disney Animation never used to have any competition, but in recent years Disney has been overshadowed by it's sister studio Pixar and other studios like Dreamworks Animation. 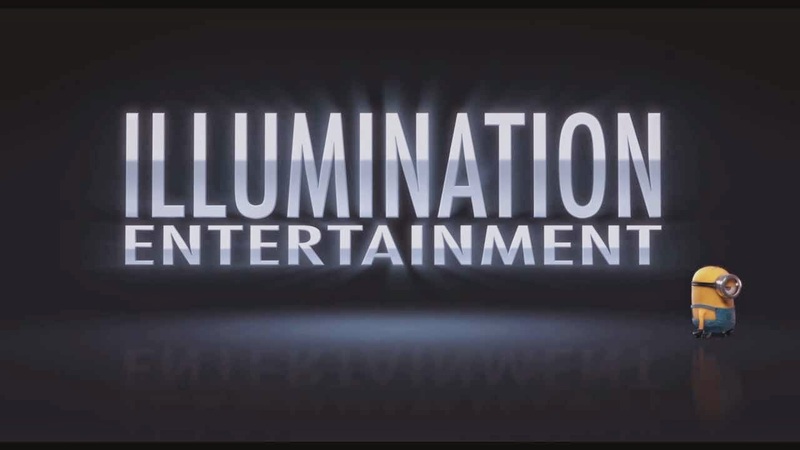 With so many studios producing so many animated films which studios and films are able to stand out, if any? To start, we will start with the once dominant Disney Animation. Up until very recently Disney has been struggling. Ever since the end of the "Disney Renaissance" in the 90s, which includes the studio's films from The Little Mermaid (1989) to Tarzan (1999), Disney has struggled to maintain it's top dog status in the animation industry. For a while, that spot was taken by Pixar. However in the last few years it appears that DisneyAnimation may be making a come back. Tangled, Wreck-It Ralph, Frozen, and Big Hero 6. Have all been well received by both fans and critics alike. Many are calling this new era of Disney films the "Disney Revival" or simply a return to form for the studio. I would have to agree with this sentiment. The Disney films between the Renaissance period and these more recent films, such as Chicken Little and Home on the Range, seem to be missing the classic feel that most of it's successful films have. They were focused more of flash and flare than on the emotional stories, which the studio is famous for. These newest films are a return to form in that the stories one again focus on the emotional relationships between friends and family, and I think this has made all the difference in getting audiences to connect with them. If Disney continues on this streak they may very well have another Renaissance on their hands. I think that Disney, although it will probably never be as dominant as it once was, is still one of the few studios that stands apart from others in terms of it's style, storytelling, and over all quality animation. Pixar, which has long been a fan favorite studio for many years, seems to have stumbled a bit in recent years. Ever since it's first film Toy Story, Pixar had been consistent in producing quality, original animation. However, recently the studio has been releasing more squeals than new content, and the sequels have been lack luster at best. There is the legend that the founders of Pixar came up with all the ideas of all their films in one day and have been using only these ideas (aside from the squeals) over all these years. Is it possible that the studio is finally running out of those ideas? I don't think anyone will disagree with me when I say that Cars 2 was absolutely awful. Monsters University wasn't quite as disastrous, but it wasn't nearly as impressive as the first installment. Brave, while beautifully animated received mix reviews. Pixar's upcoming film Inside Out is an new franchisee for the studio. It will be interesting to see if they can redeem themselves and do their once flawless filmography justice with this new content. Moving on to a Non-Disney studio, we have DreamWorks Animation. DreamWorks is arguably, and easily so, the only other animation studio currently that has as much brand recognition as Disney Animation and Pixar. DreamWorks has been extremely successful in recent years, with many popular franchisees including Shrek, How to Train York Dragon, and Madagascar. Most of DreamWorks recent films have been well received by critics. Mr. Peabody & Sherman, received generally good reviews, while How to Train Your Dragon 2 received excellent ones. The studio has two upcoming films. Penguins of Madagascar is another installment in their already popular Madagascar franchisee, while Home is a completely new film. Home was originally supposed to be released this month, but has been pushed back until March, switching it with Penguins of Madagascar. It begs the question of whether or not there are problems with the production and if Home will be up to par with recent studio standards. But these three studios aren't the only players in the field. 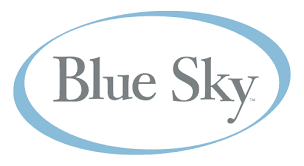 Illumination Entertainment has had huge success with their Despicable Me franchisee, while Blue Sky studios has long been successful with their Ice Age films and now their Rio franchisee. 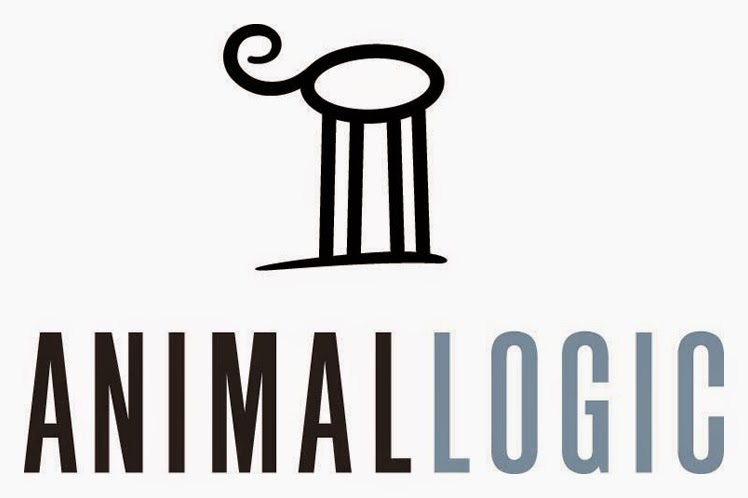 Animal Logic has had recent success with The Lego Movie, and is also known for the popular Happy Feet films. Sony Animation is probably at the back of the pack, their only big success has been the Cloudy with a Chance of Meatballs movies, but they have several films in the works now- including the cringe worthy Angry Birds. With so many different contenders it's a wonder that the animation industry doesn't cannibalize itself. It may very well be on the way to doing so. As a fan of animation I can't help wishing that more of the studios would focus less on producing so many films, and instead focus on making the ones they do produce as high quality as possible. Unlikely that will happen, as this is Hollywood we are talking about, but come on a girl can dream.